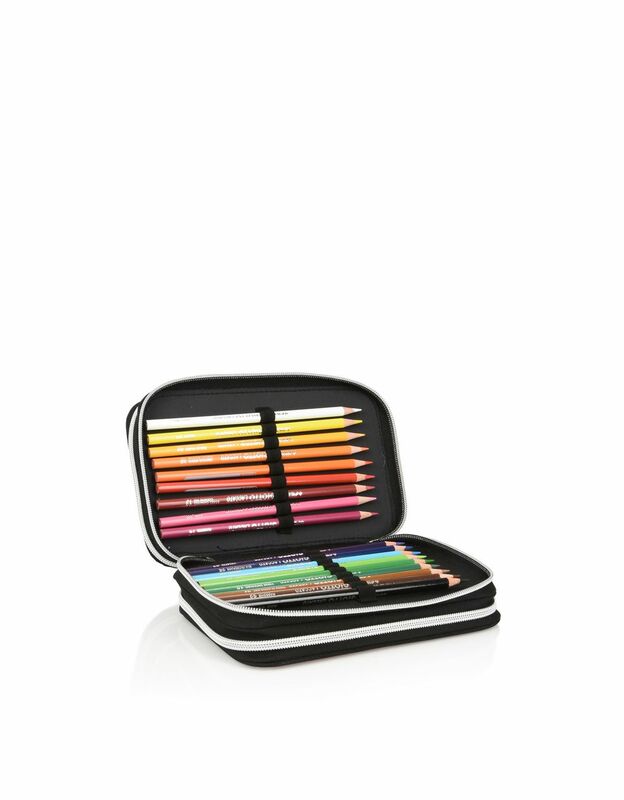 This 3-zip pencil case comes packed with a complete stationery set. 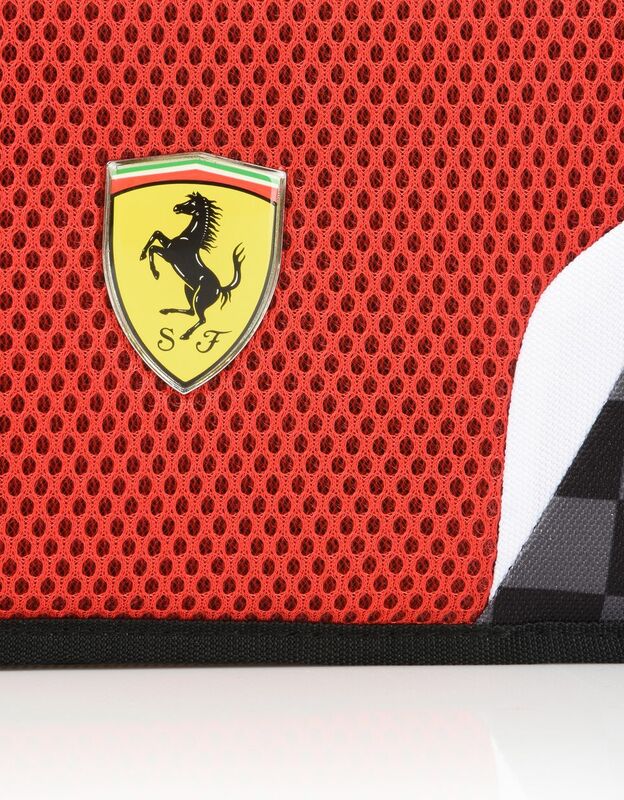 It is made from polyester with mesh inserts and has distinctive personalisation on both the front and back. 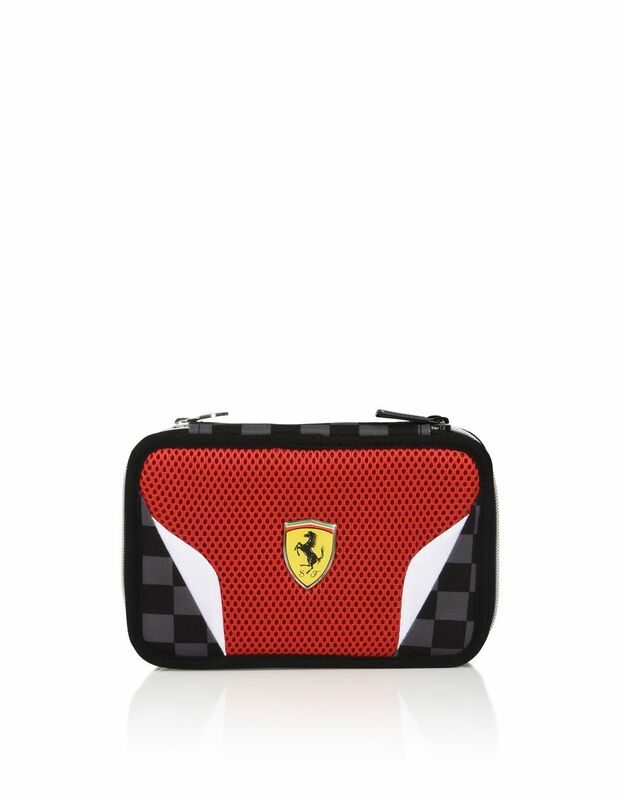 The front of this Scuderia Ferrari pencil case is inspired by the nose on F1 cars and is embellished with mesh inserts, the print and the Scudetto Ferrari logo in enamelled metal. 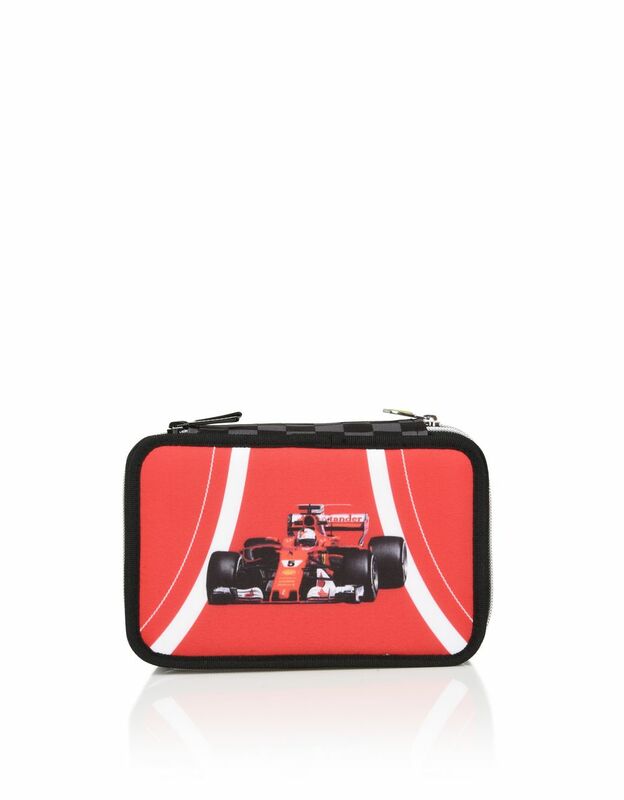 The back of the pencil case is customised with a print featuring the single-seater car and personalised metal zip pullers. The pencil case is divided into three sections and contains: 1 blue Frixion erasable pen, 18 Giotto coloured felt tip markers, 18 Giotto colouring pencils, 1 Lyra graphite pencil, 1 red pen, 1 Fila highlighter, 1 pencil sharpener, 1 rubber, a 15 cm ruler, 1 protractor, 1 set square and 1 pair of round-tipped scissors.